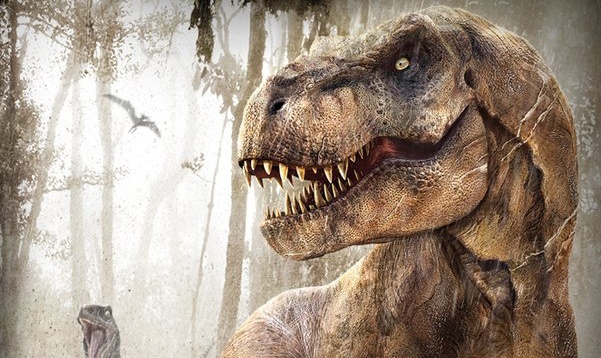 Jurassic World 2 officially wraps filming in the UK! 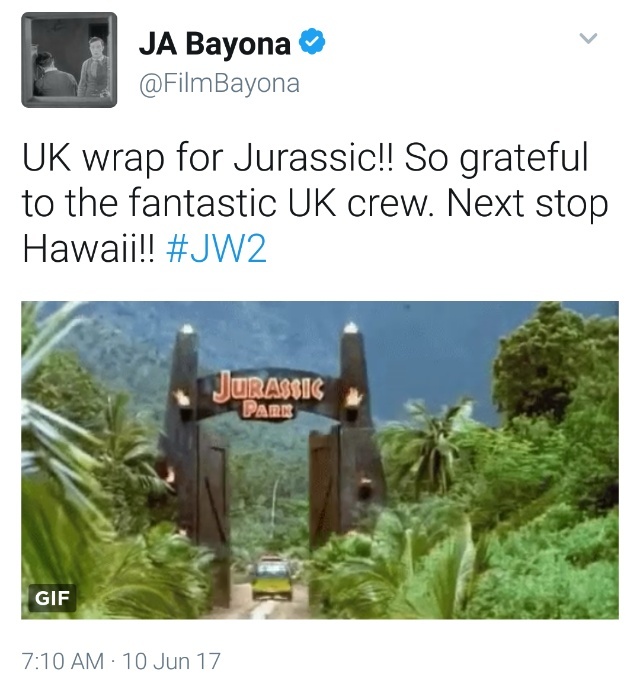 Jurassic World 2 has officially wrapped filming in the UK! Director J. A. Bayona tweeted the announcement this morning. Production now moves to Hawaii. The plot for Jurassic World 2 is still officially unknown, but early rumors and speculation suggest the film will involve a monumental catastrophe - many believe to be a huge volcanic eruption on the island of Isla Nublar which will threaten the survival of its indigenous creatures. 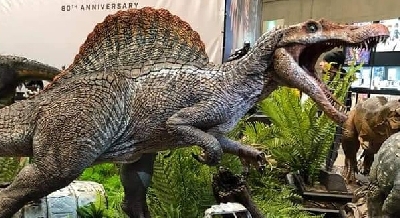 The presence of "Dinosaur activism" has already been subtly hinted at by those involved with production early on. 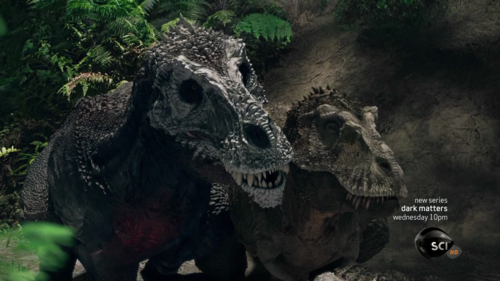 This suggests the film will also involve the relocation of Dinosaurs to the mainland - closer to Human civilization. However, an official synopsis has yet to be revealed. 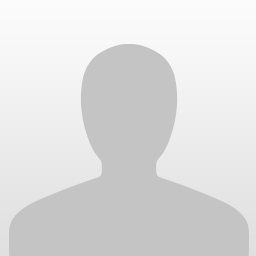 Jeff Goldblum will reprise his role as Dr. Ian Malcolm and will join returning stars Bryce Dallas Howard as Claire and Chris Pratt as Owen. The nature of Malcolm's involvement in the Jurassic World sequel is also unknown, as is the size of his role, but we're hoping it's a prominent one. Fan responses to Jurassic World 2 officially wraps filming in the UK! Yeah mine too, VR. Let's just hope it isn't totally bonkers like JW. JW was awesome. It was bonkers in a good way.